It's always important to have easy treats that can be made for hot days or when friends are coming over. 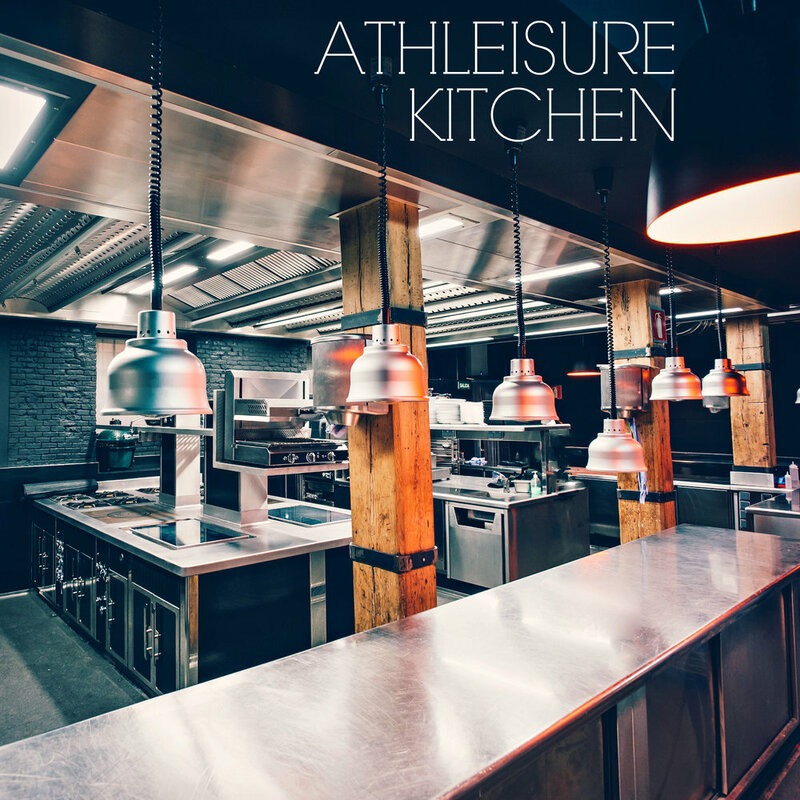 Athleisure Kitchen focused on two great dishes. We grew up eating deviled eggs and can't get enough of them! These deviled eggs include avocados which makes them even creamier and adds a nice touch to this classic appetizer. 1. Fill a large saucepan with water and bring to a boil. With a ladle, slowly lower the eggs into the water one by one. Reduce the heat to a low boil and cook for 10 minutes. Drain. 2. When the eggs are cool enough to handle, remove the shells. Slice each egg in half lengthwise. Remove the yolks and place them in a food processor. Arrange the whites cut side up on a serving platter. 3. To the food processor, begin to add the mayonnaise, lemon zest, juice, mustard, salt, pepper, and avocado. Process until well blended and smooth, then transfer to a resealable plastic bag. With scissors, snip off a bottom corner from the bag. Using the bag like a pastry bag, pipe the yolk mixture into the egg whites. 4. Garnish with black sea salt, pepper flakes or whatever ingredient you choose. Serve immediately or cover loosely and chill until ready to serve. Whether you have it as an appetizer or it's your main dish, we can't get enough of this savory treat. Not only is it super easy to make, but there are a number of ways that you can customize it to your taste whether you eat it solo or with friends. Make it a mini party by adding your favorite drink. 1. Trim and discard very end of the endives. Separate each into leaves, reserving hard, white ends for sauté. Arrange leaves in a bowl; set aside. 1. In a small bowl, stir together hoisin, oyster sauce, soy sauce and chili-garlic sauce; set aside. 1. In a large skillet, warm sesame oil over medium heat until shimmering. Add minced garlic and ginger. Cook, stirring constantly, until fragrant and garlic is just barely beginning to turn light brown (about 1 – 2 minutes). it’s hard to crumble at this point…we’ll get there). After about 1 – 2 minutes, begin chopping chicken into smaller pieces. Continue cooking, stirring and chopping up more as needed, until pink color is nearly gone (about 5 minutes). 3. Stir chopped endive ends to the skillet with the chicken, and cook for about 1 minute — we don’t want them to get too mushy, just slightly softened. 4. Stir cooking sauce into the chicken, and continue to simmer until chicken is cooked through and sauce is somewhat thickened (about 2 – 3 minutes). Remove pan from heat, and stir in chopped scallions (white and light green parts only). 5. Transfer chicken mixture to a serving bowl and garnish with dark green scallion rings. 1. Set out bowls of endive leaves, chicken, and rice noodles, plus additional chili sauce. Allow your guests to top each leaf to their liking.